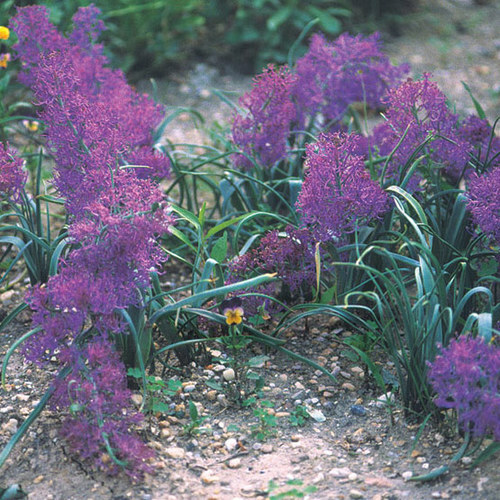 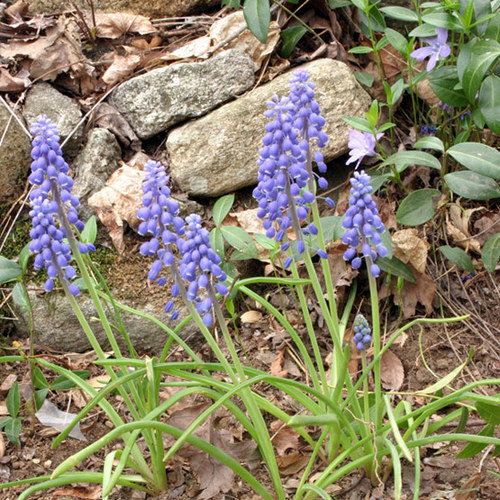 The flowers of this grape hyacinth are stunning, reaching 8 to 12 inches tall. 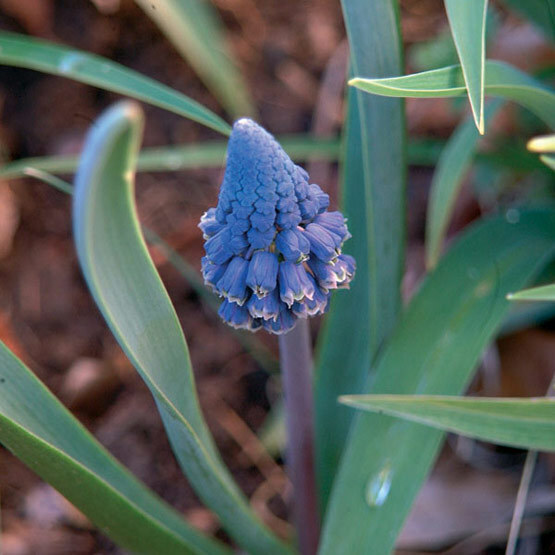 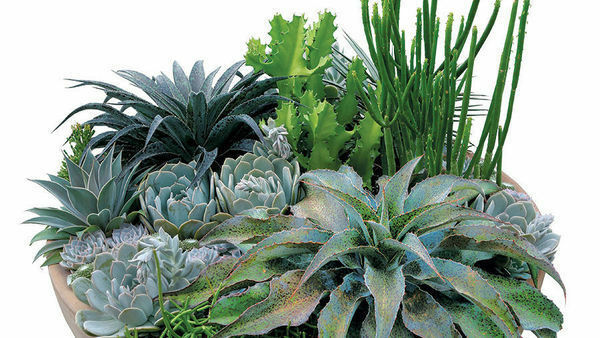 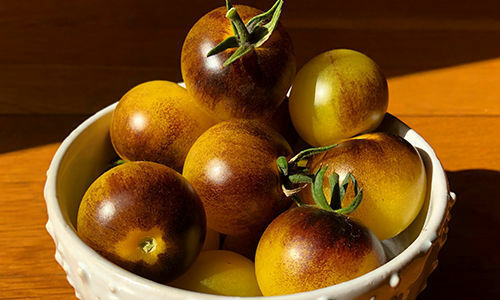 The blossoms burst in April and May, with yellow-rimmed opaque blue-black skirts tapering to a perfect conical shape, which is set off by glaucous deep green foliage. 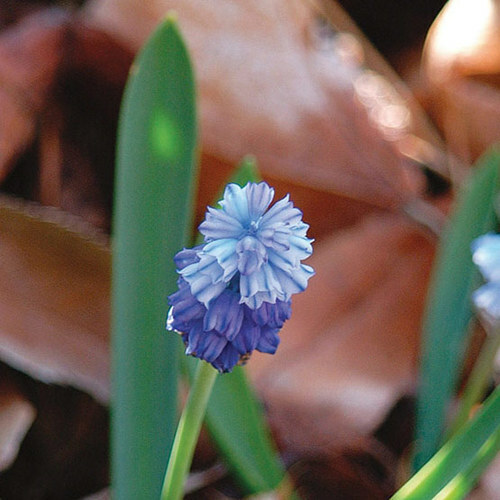 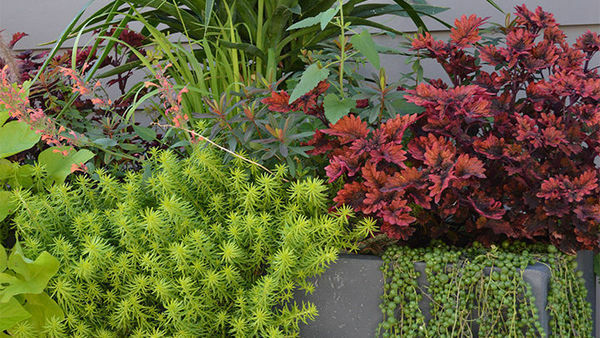 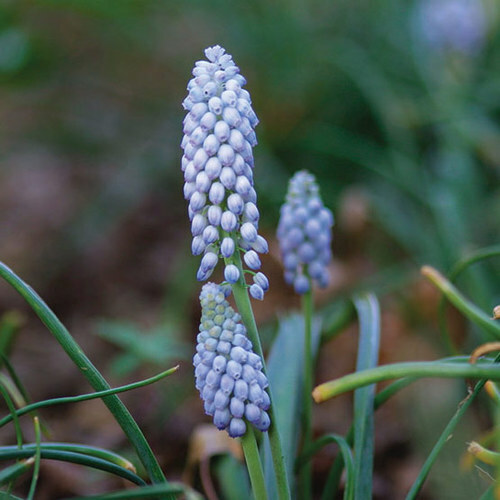 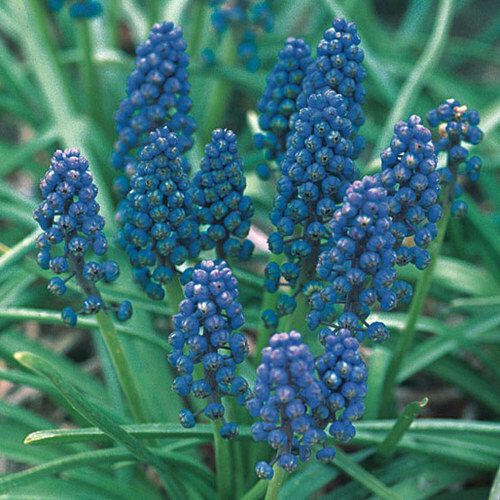 Grape hyacinths are hardy, easy to grow, and have long-lasting blooms–no garden should be without them.